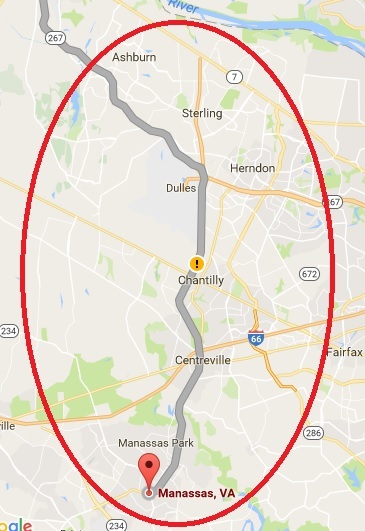 Around the corridor of Route 28, between Ashburn and Manassas Virginia. 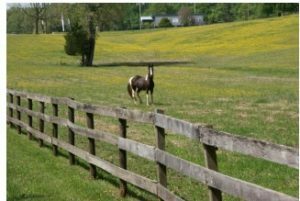 Please donate to AMAA, Inc. for purchase of this piece of land around the corridor of Route 28, between Ashburn and Manassas Virginia. This site is going to serve ever increasing Muslim community around this particular area. 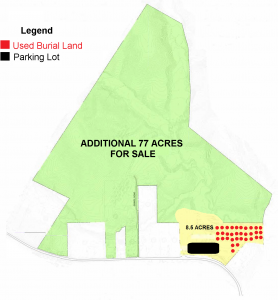 AMAA wants to make the purchase as soon as possible and have it zoned for cemetery before the local zoning and land use regulations become more challenging for cemetery use. 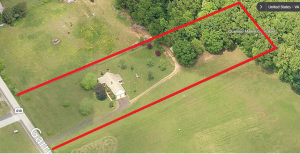 AMAA, Inc. purchased this piece of land in Stafford , VA next to 1508 Garrisonville Road, Stafford as per the organization’s vision to expand. This land will be also used for the future cemetery in the area, as the current land on Brooke Road will be full and will have no more burial spaces. This was a very strategic acquisition in the broader scheme of the land use rules foor cemetery use. 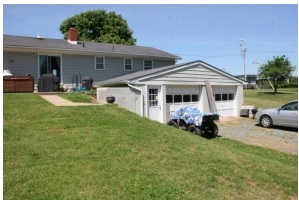 This acquisition will eliminate the need of 200’ wide buffer zone on 1508 Garrisonville Road. This land not only has the house on it which will generate monthly income, the topography of this land is also an ideal for cemetery use. Please donate. 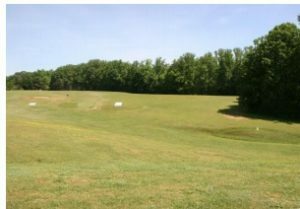 AMAA, Inc. purchased this piece of land in Stafford, VA as per the organization’s vision to expand to meet the future needs of Muslim community in the area. This land will be used, as the current land on Brooke Road will be full and will have no more burial spaces. Topography of this land is an ideal for cemetery use as it is estimated that the current 9.5 acres land on Brooke Road will be used up by the end of 2019. Please donate. 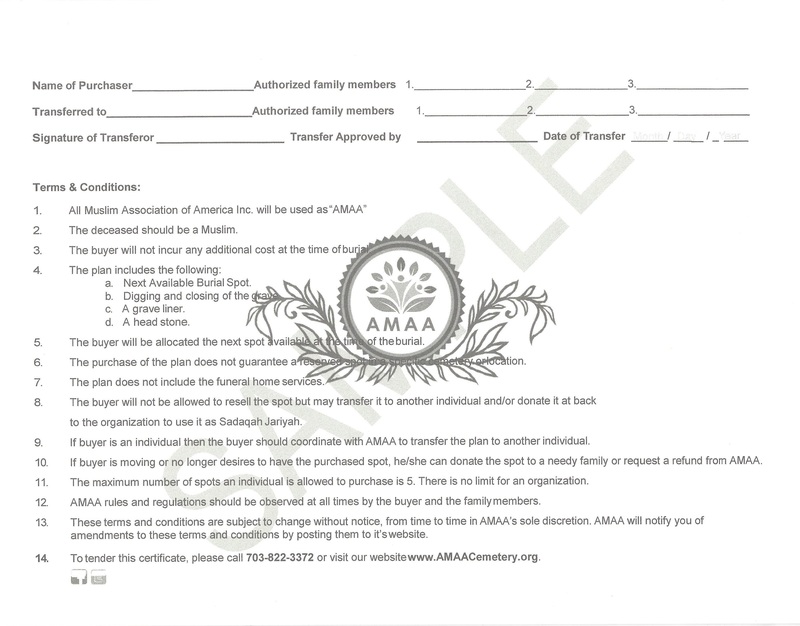 AMAA has future plans to purchase and operate its own funeral home with full services of washing and preparing the body for burial. Cemetery landscaping is an ongoing effort which includes landscaping, mowing grass, trimming around gravesites, adding dirt to gravesites and picking up the trash. Please take a moment and donate for this effort. Cemetery owns two backhoes, and a lawn mower. All these require regular maintenance which costs us about $1500 per year. Please take a moment and donate for this effort. Based on community’s feedback, AMAA realized the need for a restroom on premises. In January 2012, we contracted with DonsJohns to provide us a portable restroom at a monthly cost of $146 approx. Please take a moment and donate to help us pay for this expense. The portable restroom is located next to the entrance gate. To AMAA, transparency is not a mere word instead it is the organization’s responsibility to community. To achieve financial transparency, AMAA’s financial books are audited by an independent certified auditing firm. We encourage you to help us pay in full or portion of this cost, Donate Now! Due to increase work load, AMAA, Inc. hired two individuals from the community. The organization pays them at the end of the month. Help us pay for this expense, Donate Now! Currently, AMAA Cemetery does not have water on premises. 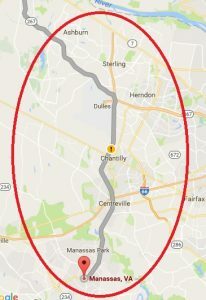 One of the brother from Mustafa Center pledged donation for Water Well project, which will be installed once we receive Stafford county’s permission. On a rainy day, it gets really muddy and very inconvenient to walk around the cemetery. A northern virginia family took notice of it and donated walk stones to make it easy for cemetery visitors. A few brothers organized a Facebook event and about 35-40 volunteers showed up to install walk stones. Additional backhoe enable us to provide burial service without any interruption. Before April 2013, we had only one reliable backhoe and rented out a backhoe in case ours is not working. 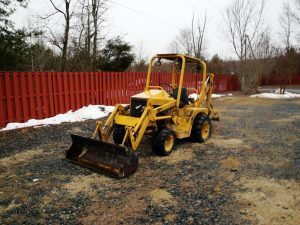 A backhoe in a good working condition was donated by a brother to help us improve our service. The cemetery’s parking lot and pathway to grave sites was filled with gravel. In 2012, AMAA board members approved the asphalt paving of parking lot and the driveway/pathway to grave sites. 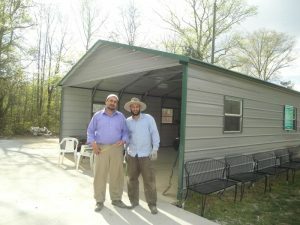 To protect AMAA’s equipment and tools from severe weather, AMAA built a shed for storage. 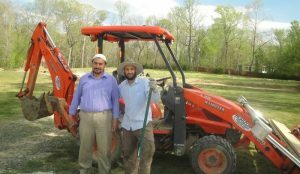 In December 2010, a brother donated a small backhoe to the organization. To ensure a service without any interruption, AMAA acquired a large backhoe at the price of $22,000. AMAA knew that 8.5 acres of land would be used up soon. 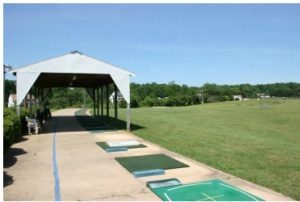 In 2008, the organization purchased about 77 acres of land adjacent to 8.5 acres plot. 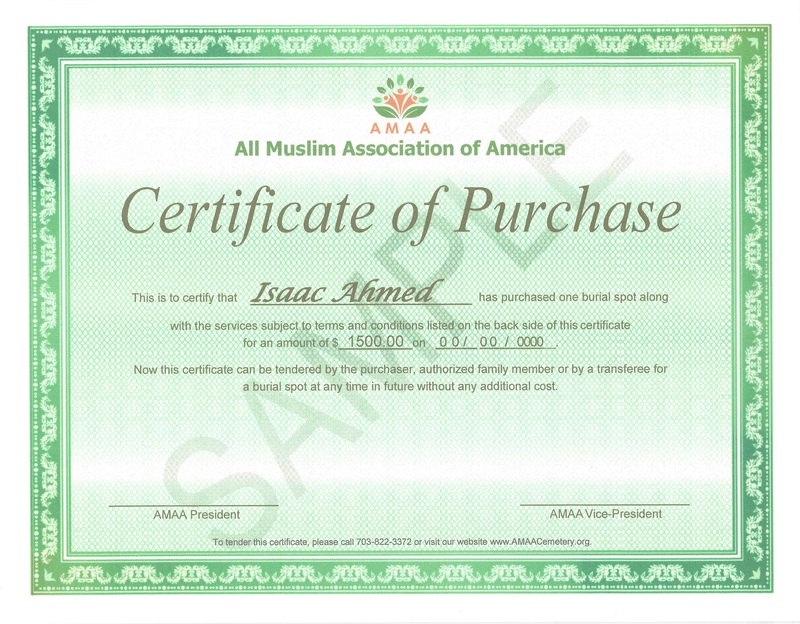 With the blessings of Allah (swt), AMAA, Inc. paid off all the outstanding loan in 2010. 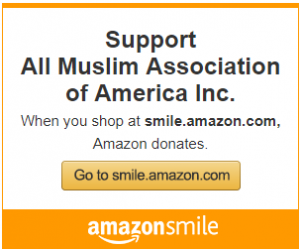 May Allah (swt) bless all those who helped the organization in this effort.